Phoenix, AZ – September 7, 2017 – ABI Multifamily, the Western US's leading multifamily brokerage and advisory services firm, is pleased to announce the $1,650,000 / $35,106 Per Unit sale of the combined 47-Unit Drexel Gardens & Drexel Terrace Apartments in Tucson, AZ. Both properties are garden style apartment communities originally built in 1983/84 of frame/stucco construction and sit on 3.29-acres of land near the intersection of South Park Avenue and East Drexel Road. The combined properties feature 29 – 2 bedroom/1 bath, 15 – 2 bedroom/2 bath and 3 – 3 bedroom/2 bath units with a weighted average size of 771 square feet. 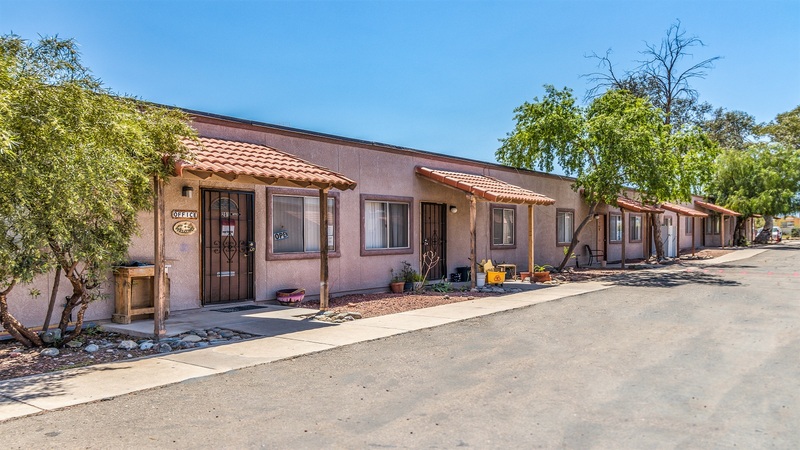 "The Buyer has purchased several properties throughout the Tucson area over the last several years," states Jon Ibrahim, Vice President at ABI, who co-represented both the Buyer and Seller with Ryan Kippes, Vice President at ABI. "The Drexel portfolio offers a highly desirable unit mix, in a great location with significant upside should the Buyer choose a more value add approach to the property." The Buyer in this transaction is a private individual based in Nevada. The Seller in this transaction is a private individual based in Arizona. The ABI Multifamily brokerage team of Jonathan Ibrahim, Ryan Kippes and Lance Parsons represented the Buyer and Seller in this transaction.